You don’t go to Baker Beach in San Francisco to swim. 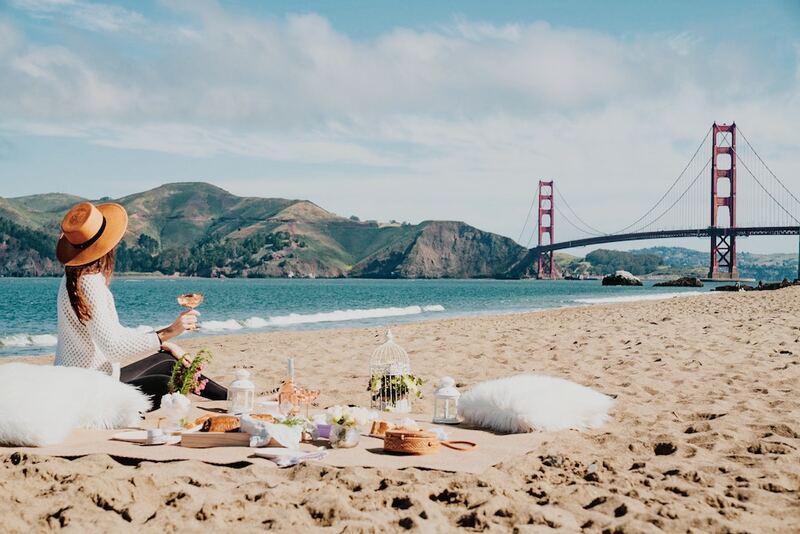 You go for the picture postcard views of the iconic Golden Gate Bridge and for the opportunity to shoot Instagram-worthy photographs you can brag about. You might get lucky and spot a whale or a sea lion just offshore or, when the tides are low, see starfish and sea anemones clinging to the rocks. You can bask on the beach in the sun when the weather is right or just walk with your toes in the sand and admire the views. The very northern end of the beach is clothing-optional if you dare. Bring a picnic lunch and catch a breeze at a picnic table in the cypress grove just behind the beach. The famous San Francisco fog often creates an atmospheric mood so don’t forget your camera. Musee Mecanique is the whimsical home of the world’s largest private collection of antique arcade machines and coin-operated musical instruments. It is a San Francisco hidden gem tucked comfortably at the end of Taylor Street on Fisherman’s Wharf’s Pier 45. Walking through the doors is like entering a time machine and you will be mesmerized by the over 300 mechanical oddities there to greet you. The quirky arcade features everything from hand-cranked music boxes to modern video games all in perfect working order. You will want to bring a lot of quarters for this trip down memory lane. Life-sized carnival automatons, photo booths, and old-timey pinball machines share space with eccentric mechanical banks and fortune-telling card games. You will want to experience them all. Jump aboard the shiny red vintage fire engine and see San Francisco in a totally different way. It’s a classic 90-minute adventure taking passengers through the forests of the Presidio and across the Golden Gate Bridge in style. San Francisco’s popular Fire Engine Tours will have you singing along with the foghorns in the distance and with the clanking cable cars passing by. It is not a quiet event. The fire engine only seats fourteen people keeping the unique tours personalized and exciting. The daily tours depart from The Cannery at Fisherman’s Wharf. Specialty guided tours are available throughout the year and include wine-tastings at local wineries and a combination fire engine ride and Alcatraz Island Tour. It’s an unparalleled way to enjoy your spring break. AMA Executive Conference Centers offers uniquely-tailored meeting spaces in four convenient locations including San Francisco, New York, Atlanta, and Washington DC. We organize and take care of all of the details for corporate functions, business meetings, and receptions. For more information, click here to contact us anytime.